Overall, Minnesota will have at least 4 very competitive races in 2018. 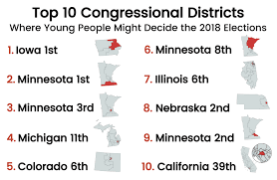 It is very possible that District 2 and 3 could switch to Democratic – while 1 and 8 could switch to Republican. The national mood will certainly play a factor. Brace yourselves – it will be a bumpy ride.